I received an order with bits of plastic in the food. I contacted customer service who said that they would follow up with the restaurant once it was open. They never followed up & I was never credited for the inedible food. It was too much hassle to contact them again. Was really good before grubhub took over. Now it’s barely usable and their customer service stinks. I ordered from a restaurant that I hadn’t ordered from before, and after they dropped off the food I guess they decided I was too far (app shouldn’t have offered them as an option if that was the case) and they tried to add an extra $5 delivery fee without saying anything to me AFTER they dropped off the food. I called and the customer service person said they would call the restaurant to see if THEY would agree to drop the charge, but acted like I would be S.O.L. if they wouldn’t. Restaurants that we used to frequently order from now show up as closed in the app, but if we call the restaurant directly they’re still open for another two hours. Just stinks because they used to be great. I have nothing against Asian cuisine, but you might want to think about broadening your horizons! What a terrible app. Prices for food is more than restaurants charge for.. It seems like all of these apps are guilty of it. The restaurant will charge $3 for soup but it will be listed as $7 on here. After taxes and delivery fees and a tip you’ll be paying $20 for a meal that should have only cost $3 plus tax. Not worth the convenience! They also gave me a $10 off for a first time order coupon code, but it doesn’t work. I try it online, it says “can’t be used for online orders” then I try it on the app and it says “can’t be used in your area”. So which is it? Sounds like it’s just a BS coupon they give you to make you want to order. DONT order from this app, every time I use this app by the time I get my food it’s f*****g cold as hell. The stray that broke the camels back though was that my delivery driver called me and said he had to take his kid to preschool first...I’m thinking ok working father it is what it is ... fast forward an hour and a half AFTER THE PHONE CALL, not since I’ve ordered...you can tack another 35-40 min on that...he rings my doorbell I wake from the nap that happened cause it took so long and low and behold not only is my food cold I don’t think there was a way he could have shaken up my food anymore. I had to reassemble my whole burger. Sauce opened up and got everywhere inside. If I could negative star this app I would. Think twice before using this service. They will deliver only part of your meal, then say sorry but you’ll have to pay more money for us to deliver the rest because we made no effort to verify what we were picking up. 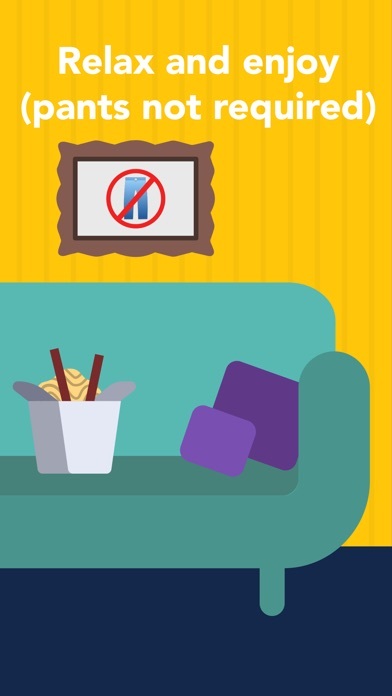 If a package delivery service did the same thing they would be out of business immediately, but since Eat24 is convenient, we put up with it. No more. The customer service has seriously gone down since GrubHub bought them out. It’s a shame because they used to be AMAZING and so friendly. The last time I chatted with a rep, I had issues with my order the rep was completely unhelpful and in the end I asked for my tip to be refunded. The rep assured me it was done and that was that. Come to find out it was never done when the transaction posted to my account. There is a reason I used GrubHub once and went to Eat24 before they were bought out. Thanks for all the great times Eat24. RIP. I placed an order and was called by the restaurant that they are out of one of the items I ordered. They asked me to edit my order through the app. I went to the app only to find the order cannot be edited or even canceled after placing. I tried to start a chat to figure out what I could do only to find there are 184 people ahead of me. I don’t understand how that is even possible. I’m not sure how I’m supposed to get a replacement or receive some sort of refund. This is a terribly formatted way of ordering food and there is no way to contact someone for quick solutions or answers. Deleting the app as soon as I get my money returned. When a Manager tells you we will not deliver to your address anymore, SIKE!!!! EAT24, Mad Boss? I’ve used this app several times (because it should be a convenience, but it’s really not). It doesn’t appear as if their system is synched with the restaurant as often times the ETA isn’t accurate. For my last order I had to wait an additional 35 minutes on top of the time the app gave me. Two times before that the restaurant didn’t get the order. You are much better off using uber eats or door dash or Cavier. Or just calling the order in- if you are picking up. Great app. Should make sure they keep up to date with menus. Great app but I had to stop using it. Palisades Pizza in LA : You still can’t add Jalapeños or Firecracker sauce. I have to call the restaurant every time. It used to work. I haven’t tried another app. But this one, I have used it for 2 years. Los Angeles and Dallas. They haven’t mis a deliver 😋. Half my food was missing, the rest was cold and wrong and they wouldn’t even give me my money back. Please spend your hard earned money elsewhere. Don’t order drinks!!! Seems like they always forget. It’s happened 3 times and they won’t give a refund either. Basically they stole over $15 I paid for drinks. I also gave tips in advance and received poor service. Tipped anywhere from $3-7 so I've actually lost over $30 dealing with this app. I really enjoy that this app. It gives you coupons every week versus other apps they only give you a coupon for the first time you order. I love eat 24, it’s very simple and easy to order and you can see photos dishes and a good description, also easy to add sides / ingredients. Ordered from this place for work and was completely screwed over by them. Food was late and restaurant tells me they got he order 20 minutes before it was supposed to be delivered. Got no help and no refund for the mess that almost cost me my job. Never using again. Their customer service is terrible. Boycott monopolies and boycott eat24 and grubhub. Edit: 9.16.2018 There used to be an option in the old app that allowed you to request utensils and miscellaneous items. It’s gone now. Order tracking via map would be nice. ————— I'm in different cities all the time because of work. I like using the eat24 app when the hotel menu is too expensive or unappetizing. It's great to be able to order without cash and without having to sign for anything when you receive your order. I do wish there were more pictures displayed for the specific food orders so you have a better idea of what can be expected. I learned from my mistakes. I highly recommend contacting EAT24 as soon as you place your order to make sure there’s drivers to deliver your food. Multiple times I’ve waited 2-3 hours for my food and having to call customer service for them to realize they don’t have any drivers. Don’t call the restaurant, 95% of the time it’s EAT24s fault. I continue to use EAT24 because delivery fee is cheaper but it’s not worth saving 2 dollars to go through this crap service. With UberEATS, not only do you get more accurate times but more features. Hell even Amazon Restaurants and Caviar provides better service. Not worth using this service to save a couple dollars guys, stay clear from EAT24. I travel a lot and welcome the chance to enjoy the foods I can’t get where I live. Eat 24 reliably has all the options for which I could ask. Works great. I order from a view places and never had a problem. I love this app!! Best food delivery app by far. Food was excellent, delivery right on time. My favorite go-to! Always fast, hot and tasty! They don’t verify the restaurants or respond quickly. I ordered from a restaurant that was over an hour late and the phone number for the restaurant on the app was not the number for the restaurant. Couple suggestions, since the app tracks orders, if an order hasn’t been delivered in over an hour past the expected delivery time, cancel it or at least follow up. Also, make sure the restaurants on the app are actual restaurants, their phone numbers are accurate, they actually have delivery drivers, and that they are reliable. I would leave a bad review for the restaurant but the app won’t allow it since it was forced to cancel it. Finally, Eat24’s customer help line puts you on hold for a long time but it’s the only way to get a refund. Have gotten to the restaurant several times to find the order never went through. Frustrating. We ordered from a food truck which wasn’t available that evening. Nothing on the app let us know that, and we waited for 2 hours for either food or information. Finally got word the order was cancelled. Did get a $20 coupon which we just tried to use—and it’s expired! More restaurants than grubhub but they're the same people 🤔 .. so 5 stars for that? 40 minutes after order was placed Eat24 cancels the order without giving a reason. Only states, “Sorry, had to cancel your order, please accept a $5 discount on your next order”. Then they state that your refund will occur sometime within 3-5 business days...are you kidding me!! I checked with the restaurant, they were still open for delivery for another 5 1/2 hours. I can’t delete this App fast enough. Do yourself a favor and use ANY other service for food delivery. After placing and order and waiting 1hr 30min, the order was cancelled with no explanation. I would rate 0 stars if it was possible. Unacceptable!!!! I’ve tried them all and this one is the best in my opinion. Other services may seem to offer more restaurant choices but then they always have delivery problems. If there is a problem, Eat24 has great customer service and resolves it quickly. They also have a weekly $2 off coupon that all customers can use where most other services only offer discounts for new customers. I do still use other services occasionally but I always check eat24 first. I waited an hour and a half for food that still hasn’t arrived and the driver put in the app that it was delivered so now I have to call the customer service a second time for my food and I don’t have any way of contacting the driver who claims to be 10 minutes away when he was 20 minutes away 45 minutes ago! After all of this Eat24 had the nerve to offer me a 5 dollar promo code to make up for the issues. I don’t want any promo code if I still haven’t got my food or any real proof it’s even coming. The app works so well for ordering, but the estimated delivery time can be off by as much as 30 minutes?! Why can’t I get updated on when my food leaves the restaurant and where the driver is or when the driver is eg 5 mins away. Stop applying a promo discount if I've already ordered from a specific restaurant. Why tell me at the end when I'm about to pay that I can't have the discount? It’s horrible when you order from a spot that Said’s it’s open but come to find out 2 hours later that it’s closed. And NON of the coupons Eat 24 sends me works. Excellent customer service Love the new look to the app So easy to use Long time member!! This app is super easy to use and makes ordering dinner a breeze. The only draw back is we wish more of our local faves participated. I’ve been using this app forever. Probably spent thousands of dollars using it. No more. The majority of orders have missing items or is late. I’m still waiting for the pizza i ordered 3 hours ago that spent $45 on for one person. I’m done. App has been deleting. Don’t even care if it gets refunded. I ordered food last night and it arrived 30 minutes late and it was ice cold. I called the restaurant after it was 20 minutes late and they said the driver had left 20 minutes prior. The restaurant said this is always an issue with Eat24 and that I should try using Postmates or Uber Eats instead. The food then arrived 10 minutes after that. The restaurant is only 2 miles from my house and it was 11pm, so I don’t understand why it took 30 minutes. I contacted customer support chat to complain and asked for a refund but they said they couldn’t issue one for me and then signed off on my face without allowing me to say something. I started another chat to complain about how rudely I was just treated. They continued by apologizing for the previous person and then lied to me by saying the restaurant used their own driver so they couldn’t issue a refund. This isn’t the first time I’ve spent $30+ on cold food that should of been hot. So I’m done using this app. I probably will switch over to Postmates or Uber Eats. You’ve lost a good customer. I love the ease of seeing the restaurants and menus nearby but I absolutely DESPISE the fact that I can’t use any coupons if I want to pay cash. It’s a huge disadvantage and quite frankly deters me from ordering via this platform more often. Please fix this!! This used to be a good app. A great app even. Now it is terrible. Oh well. I can not believe how bad this service is! So close, but no cigar? The app works fine and I use it a lot. I’m actually quite pleased with the service. My only gripe is the selection of restaurants. It’s just to limited. Cool but delivery fees are getting out of hand. My order was cancelled and phone number changed without me changing it. I was given the cold shoulder when questioning it. It was highly disappointing. Eat24 app was far easier to use prior to GrubHub absorbing them and converting the app to just like theirs. Takes forever to load, is clunky, and is not user friendly. Instead of putting the places you use most frequently on top it puts the ones it’s trying to force you to use first. Go back to the old app it was simple and quick. I feel like I spend a lot of my life waiting for 11 am so I can order breakfast burritos. This app makes that ok.
Now that it’s “powered by Grub Hub,” I feel like the focus has shifted from actually making it an easy way to order food to being a cutesy ripoff. While the interface has always wasted time with cheesy puns (sometimes literally) and unnecessary animated graphics, now I have to sift through ads to get to my usual restaurants, and no coupon codes work. Also, the prices seem subtly higher than ordering from restaurants directly, and there are constant glitches such as tip and/or delivery fees not being added properly at the time of ordering, making for awkward exchanges upon food arrival. Plus the whole app feels clunky and slow. I’ll save myself the frustration and help small businesses keep more of their money by just calling directly. Terrible experiences with this app. Don’t waste your time, poor management of restaurants, items are literally never delivered on time. Use amazon restaurants or Postmates or really anything else, this app and it’s management of deliveries is the worst. Easy to use, good variety of restaurants. Sometimes more expensive than ordering directly from restaurant. Incredidubly bad user interface. Lost my appetite. I was referred by Instagram.com/angelosheart Instagram.com/delasoulART AND IM IN LOVE WITH THE EASE. 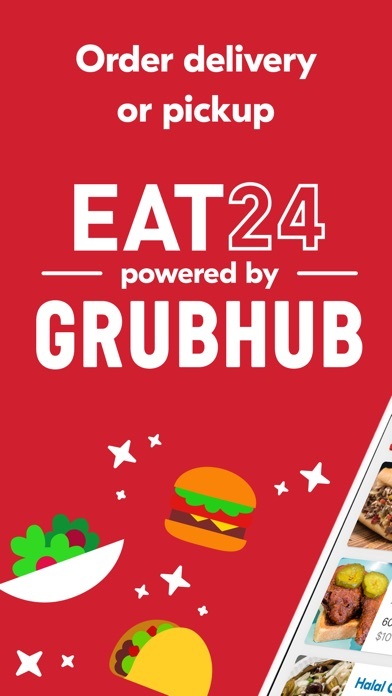 I loved using eat24 and now that it is powered by Grubhub, it’s just not the same, the service and application! I miss the old days. The pick up feature is really what makes this app great. Even Uber eats doesn’t seem to allow you to order something and pick it up for no extra cost. Allows me to avoid lines and waiting for my food to be made. Whe you’re in a pinch munch and need as good meal the fam look the app is your answer for a good simple meal! This is my go to app for when I was to stay in and be a home body. I used to use eat24 constantly, at least 4-5 times a week. Ever since they integrated with grubhub the app has gone down hill. The best part of ordering from the app was the fact you could find coupon codes any day of the week just by checking twitter but now they only give them occasionally. And more restaurants are now charging delivery fees that they didn’t back when Yelp was partnered with the app. There’s really no point in using the app anymore when it’s not saving you any time or money. You’re better off just calling the restaurant or visiting their website to place an order. I always enjoy eat 24 with the coupon they provided from some restaurants. It would be nice if all restaurants were involved in giving coupons through eat 24 for free items. I enjoy it and appreciate it. Thanks. I travel a lot and when in a new town or busy or in late, it’s great just to pick up the iPad and get dinner on its way. Helps me stay away from expensive and often nasty hotel food. Your app is horrendously anti-user. Fix the glitch. Dumber people blame the restaurant, but it’s all your fault. Be better. I’ve been a long time customer of Eat24 but had a horrible customer service experience so I’m taking my business to door dash. 75% of my order was wrong so I used the chat featue. The rep did not acknowledge my issues or confirm that they understood. The rep would ask a question, I would answer and then there would be no response for a long period of time. This happened several times to the point where I had to type “hello?” to see if I was still being helped. No apology for getting a wrong order, no communication throughout the process. When there finally was a resolution the rep didn’t give me any details, just that a refund had been processed. I had to check my email to see what the details were only to see that it wasn’t a full refund. When I asked about the other item that I hadn’t received I was told it was delivered to me so the restaurant did not approve a refund. This experience hit a nerve so I will not be using this Eat24 again. Ever since they merged with GrubHub the App, service and overall selection has plummeted while prices have dramatically increased. What used to be a regular reprieve from cooking is now the rare treat that inevitably leads to frustration and headaches. Cancelled orders, wrong items, late deliveries, lacking service and poor app design are just exhausting. I’ve ordered pizza, wings, fingers and fries. The best I’ve had. Better selection much more to choose from than Uber Eats and actually offer coupons to loyal customers unlike Uber. Would like King’s or Eat N Park added and Starbucks would seal the deal to where I’d delete UberEats app all together. Never Received my food. Waiting 3-5 days for my money back. Ordered. Paid. Waited an hour. Meanwhile I was receiving updates from the app, “restaurant is prepping your order!” ..”order underway coming in 55 minutes” ...An hour and a half later, no food. I call restaurant: closed. I call Eat24/Grub customer service: apologies, a cancelled order, a measly $5 discount for “next time” (ha! As if) and waiting 3-5 days to get my $40 back. LAME!!!!! It’s a weekly bright spot to see that coupon code in my inbox. Thank you, Eat 24 for an easy and fun way to explore all the great spots in my new neighborhood. Ordering a breakfast of eggs and meat didn’t give the option of what type of meat we wanted. No option to add another meat side. A service I use weekly! Eat 24 is a life changer. 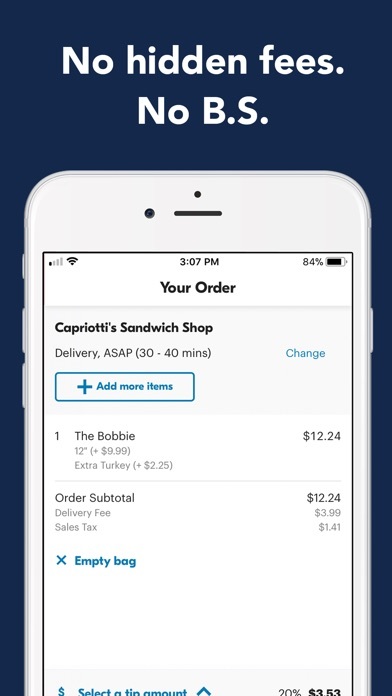 Being a busy wife and mom, being able to order food via the app and have it delivered within an hour without fumbling to pay or sign a credit card receipt is so convenient. Bonus, there are lots of cuisines and menus to choose from. And we receive and use eat 24 promo codes every time we purchase! They have coupons most weekends also. I’ve had a great experience. I hate ordering food because the delivery fee itself is too much! I rather tip the driver the extra 3.99 than to give it to eat 24 as a fee. I love to Eat 24! I love the simplicity of ordering food to pick up or delivered! Order dinner at 4pm to pick up at 7pm or whatever fits your time schedule. The app works and makes ordering food simple. It’s a food app. It makes life easier. Use it! How often is the order I submit actually filled? About 50/50. Convenient for downtown areas. Easy to use app. Great for tech savvy millennials. I'm an 80's kid so I'm still old school. I feel comfortable calling in and placing an order. However, I have to "get with it" and keep up with the modern world. If there is any app I would like to use Eat24 would be one of them. Awful! Awful! Awful! 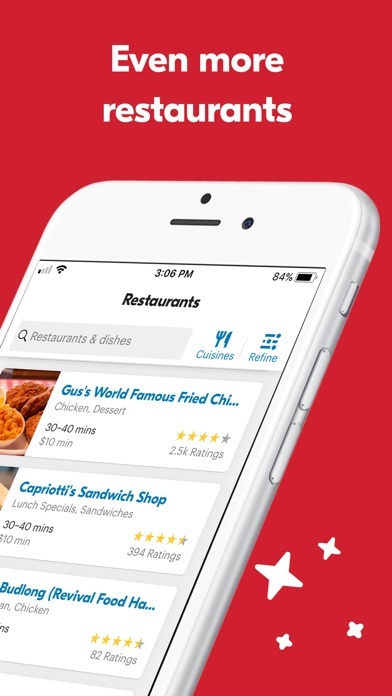 Eat24 used to be amazing but has changed dramatically in the last year. The customer service is gone. No more promo codes, no more fun marketing, no more personal experience. Grub Hub bought them and is now the same company which really stinks because I would order through eat24 to not have to go through Grub Hub because Grub Hub is terrible! Now eat24 is terrible. Bad service, no communication, very impersonal experience. They removed every great part of Eat24. Shame on you! What happened? They gave a 10$ coupon for new sign in user. At checkout they gave a flimsy reason that this coupon doesnt apply to this ZIPCODE. This is one of the dumbest reasons to escapibg usage of a coupon. Don’t order from this app! Every single time I order through this app there’s always a problem with my order! Mostly because the restaurant gets my order very late or they don’t get it at all! The very last time I ordered through eat24 I had ordered to pickup from a Denny’s near my home at 9:05 and the estimated pickup time was between 9:25 and 9:35, so I get there at 9:30 and ended up sitting there until 10:10 waiting for my order because they said they received my order at 9:40! Well I’ve learned my lesson and I’ll be ordering by phone the ol’ fashioned way next time. I really like the ease and convenience of EAT24. It’s quick and accurate in terms of ordering and wait times. I have yet to be disappointed. This place is the greatest and has established n OG.. feed me!!!! Tips are good but should be calculated on the cost of the food. Tips are not calculated based on tax and the “delivery fee”. Also this used to cost a lot less for delivery but now since grub hub bought them it’s super expensive - AND it seems the menu items cost MORE through here versus buying direct from the restaurant. Ever since Eat24 became affiliated with GrubHub, I’ve been dissatisfied. Customer service is terrible, coupon codes are sparse, and the feature to leave “notes” on food selections was removed. I used to love eat24, but since their merger with grubhub I’ve been extremely unhappy (compared to how awesome they used to be). 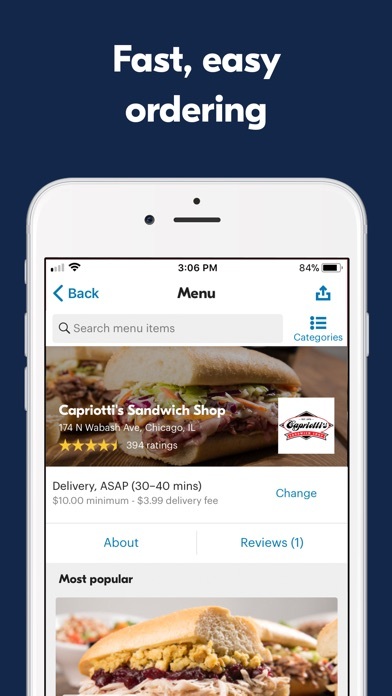 Great app, but I wish more restaurants were available for delivery in my area. App would be better if they would let you add drinks to your order like it used to. Idk why it got complicated to where I can’t find or add it anymore. Still Haven’t Recovered From GrubHub takeover. Ever since they sold out to GrubHub, you haven’t been able to reorder your old orders. It’s been months and this is still not fixed. I have a sinking feeling they’ll eventually make us switch to the GrubHub app and we’ll lose all our old orders permanently. So sad to see this once great app slowly dying. Discovering more since being handicapped. A pal recommended it to me. Been using it, love it! Also, the app says an estimate and it is always way less. Always been great experience, customer service is fast and responsive. Don’t blame the app for bad restaurant owners or your own user error, that is called ignorant. 9/10 the order is screwed up by either communication with the restaurant or the grubhub driver. My partner and I often wait twice as long as the estimated time. Sometimes finding out our order has been cancelled or “overlooked” The drivers take poor care of the food and I have received cold food on more than a few occasions. I honestly can’t stand the app but it’s the only helpful thing when finding places to order take out. Always there to feed me 24/7! Since joining with grub hub I can no longer choose a “spicy” level on dishes at restaurants where I used to be able to. It was much easier to reorder items, less bugs, easier payment. Ever since grub hub merged with eat-24 deliver has been a nightmare, no order is ever right or on time anymore even from restaurants we have ordered from and revived great service for years. overnight they (grub hubs fault) have ruined deliver for the masses!! Now to go pick up my delivery. Delivery fee high or a few. I placed my first order with Eat24 today, and while the app was easy for me to use as a person who is totally blind, I noticed there are a few accessibility improvements that need to be made. I use VoiceOver, Apple’s screen reader that allows people like me to use their products independently. And when going through a restaurant menu, I noticed VoiceOver doesn’t read the choices on the menu. It just says, “is popular image.“ In this case, I wouldn’t know what item my finger is on one scrolling through, the only way I would be able to know is by double tapping on it and then it would pull up the information about it. Overall, this app is simple to use, but I would definitely encourage for the developers to please make it more accessible for people like me who are blind or visually impaired so that they can enjoy using it to. The past 7 years I have grown to love and enjoy using the Eat24 app due to its ease of use along with its awesome customer service. The past 6 months since The change in ownership the customer service has taken a nose dive. I have had problem after problem with orders being cancelled that I never had before. Then when there is a problem and and order is canceled I am just told it’s too bad and to try another place. Why do I want to continue to try to waste my time putting an order together when at the end it will be cancelled? Tell me what you will do to make the service better like it was before. I no longer feel valued as a customer. I guess it’s time to find another app, there are plenty to chose from. The frustration! Best app for ordering food. Consistent coupon codes. I had a problem with an order made via this app and contacted customer care multiple times for which i was always said they would rise a ticket and contact me back but never a ticket or contact. If they cant fix the order wats the use of ordering via this app i can directly call the restaurant.. bad cust. service.. Update: customer service got even worse.. 4 ppl changed in a single chat session of 1hr and finally they disconnected without solving.. 2 months and issue reported is still not solved..
Love the frequent coupons and ease of use in app. Wish there were more restaurant selections, but fairly limited in my area. There are many that Eat24 could parter with. Please do. Thanks. I've been an avid user of Eat24 for quite some time but over the last several months I've run into a number of issues regarding their follow up on meals and customer service. Really hoping to see an improvement. I love this app when I’m craving it has the answers! A lot of the helpful info is now buried in the restaurant listing. Also the filter has lost a few useful options. A rather bad update to a once great app. I love this AP. It makes special requests on Chinese food very easy. Food is easily ordered and restaurants usually call if they are out of something. Easy, fast, reliable. Used to get at least $2 off/week! Grubhub took over and.... none since! NOT GOOD!! Their confirmation system with restaurants is terrible. This is my second order in a month where the restaurant never received it because the restaurant was CLOSED. I waited over 45 minutes each time before suspecting something was wrong and contacting customer service, meaning that I had to wait over 1.5 hours for my food to arrive from a new restaurant since placing the original order. This app safe me so much time in my orders I love it!! This app is buggy. The “track my order” feature is very disorienting and ultimately did not work. I also ended up having my order go through at a restaurant that was closed. They claim that the order was confirmed from the restaurants end, but when I arrived to pick up my food they were clearly closed with nobody on the premises, and had been for a while. We’ve had some missing items but the company has resolved the issue with a refund and did so within a few hours. Every time I order from Eat24 i end up waiting over an hour and a half and regretting choosing this service. I only end up using eat24 because the specific restaurant I want to order from isn’t on Uber eats. Love the convenience of this app! Always on time and never disappointe! They are the worst. Customer service is probably better in prison and the order will arrive faster if you ordered from the DMV. Don't waste your time or frustration with this place. I can’t express how much I suggest you NEVER USE THIS APP. Yelp owned too, shameful. Even though it’s part of Grubhub, it’s a lot better than them. I've never had a problem as of yet. Most of my orders were received early or on time and if it's going to be late I get notified. There have been multiple occasions where I’ve received the wrong order. It appears correct on the app but... I just can’t comprehend how hard it is to relay what you want to a restaurant. The app has been deleted. Done. I waited 3 hours tonight, and eventually got food after I called the restaurant a half-dozen times or so. Inexperienced delivery driver and a forgotten order were the two different problems, and when I tried support I got no response for an hour, then no response to my response for another hour. Using this app is like having a wet fart and then your dog dies and you can't even grieve because you're dealing with the wet fart. Edit: While I appreciate that you responded, this is too little, too late, and I believe it's motivated only by a poor review, not the poor service I received. App deleted, I'll use a competitor. Are used to have decent service with this app but it has really really really gone downhill in the past year or so. A few months ago I placed an order through this app but upon check out I would get a payment error. Knowing that it wasn’t my bank account I tried again and still received an error. I was confused so I deleted my debit card information from the app and re-entered it and my order finally went through. Unfortunately each time I had used the check out option Eat24 did in fact charge me. So I was charged three times for one order. When I called to complain they had no records that I had placed any of the previous orders, yet my bank account clearly show that I have been charged by Eat24 three times in the span of five minutes, all for the exact same amount. I ended up having to call my back and they’ll them that the charges were unauthorized by me. It took about 2 weeks for my bank to investigate the issue and for me to get that money back into my account. I should have stopped using the app then and there but like an idiot here I am using it again and having a similar issue. I placed an order as soon as I got home from work and it was supposed to arrive by 8 PM. Around 7:45 PM I check the app to see the status update and the order then said it had been delayed until 9 PM. At 9:05 PM I check the status update yet again and the app still says my food would be delivered by 9 PM. Then check my recently browse the restaurants and the restaurant that I had ordered from was closed. Needless to say I’m not receiving any food tonight. I would cancel my order but of course Eat24 has already charged me and there’s no way of getting in contact with anyone from their customer service this late. I can’t believe they are still in business. This should be taken down from the App Store immediately. The sheer lack of competence this company has for its customers is baffling. Never deliver on time and apologize. Great convenience and customer support! I used this to order a pizza and when I went to pick it up after an hour. The restaurant told me that hadn’t received my order. What’s the point of pay up front if their service doesn’t even work. Two hours later I got my pizza. Contacted support and they did nothing for me. Don’t waste your time. Do NOT Order From This App! If you do decide to not heed my advice, don’t tip ahead of time. You’ll regret it. We are still waiting for our food two hours later with no response. If I could’ve give zero stars, I would have. WARNING!! Bad System... Please Read!! Be warned... I ordered food using this service and paid using Apple Pay. Waited several minutes and no verification email. Called restaurant and they hadn’t received my order. They recommended calling Eat24 service. I contacted support using the app. The service rep informed me that the order didn’t go through, but my debit card had been charged and the refund would appear within 3-5 business days. She then asked if there was anything else she could do to make things right. My response was to have food delivered to my home with the $40 loan they just took from me. She wasn’t willing to make that happen. To the consumer, please consider the time and energy you are wasting using this useless service. To current and potential business owners... think of the business you stand to lose for using this service. It appears I’m not the only person with this issue. After calling the restaurant back, they are ready to stop using the service as well. Good luck! Amazing . This app Never lets me down ! Used to be WAY better. Now it’s awful. RUN AWAY FROM THIS APP AND SERVICE. It doesn’t work, your order will magically disappear, you’ll wait 2 hours for food that isn’t being made. Customer service? A joke. Two agents couldn’t find my order despite having a receipt number and sending screenshots. Finally had to dispute the charge with my bank. What did they do? Nothing. Barely a sorry from the agent on the phone. The agent on chat just gave up and stopped replying. 3 hours of being hangry later what did I do? Order from Pizza Hut. I’m disabled and cannot drive. So, these types of services are a Godsend for me. It’s nice to be able to order something for delivery that IS NOT PIZZA or CHINESE... with more and more places offering delivery, even with the delivery charges, it is well worth it! Not as good as it used to be, now almost every order takes 1 hr even if you’re 0.65 miles away. I use this app regularly, and I’m about to just only use door dash because grub hub has charged me twice for one order multiple times, and also most places never get my order right, I hate complaining or having to address a mistake because I feel like a nag so when this keeps happening it makes me Extremely uncomfortable. If they could fix these issues it would be a lot better. The guy that delivered were so sweet. I would definitely order again. Zero complaint and much cheaper than postmates. Love it! I placed to order via Eat24. Restaurant’s driver went to wrong address he asked me to wait 5 min. I waited 20 min and he didn’t come. I contacted with Eat24 representative and requested cancel order. Representative told me that restaurant refused refund so I can’t help. Orders get messed up. Drivers lie about deliveries. But if your food gets left at the restaurant for so long it becomes completely inedible they’ll give you less than half the cost back, so there’s that. I used this app a few times in different states and each time it took ~2 hours for my food to get delivered, so the food was cold when I got it. I’m deleting this app and warning all my friends to stay away. I love using eat 24. It makes it easy to order and pay at the push of a button. Great app. I just want to place an order. I don’t want to write a review, or sign up for offers, or anything like that. The app works. It does what it says. Prices are never correct. Customer Service isn’t as accommodating as Uber. If you cancel a meal you should refund and credit account for the inconvenience. I did not realize my order had a 12.99 delivery fee till after I paid. Hard to cancel as well. What a rip !!! All our restaurant orders have been outstanding with polite delivery drivers & efficient service. My order got lost on Eat24 tablet because restaurant doesn’t get orders through Eat24 since GH acquisition, and tablet was put away. For me it meant getting my food super late and without enough time to eat before my meeting. Bummer. I used to like this app. I always use Eat24 to order out because it’s soo cheap and their staff actually give a f about you. For example, I had a late order and they credited my account to make things right. They are direct and to the point; no hoops just service. If it ain’t broken, don’t fix it. I’ve used this app for almost a decade and I raved about it to all my friends. I placed thousands of orders and was extremely pleased. Then grub-hub happened and Eat-24 died. RIP. So I find myself better off reverting to the old method of calling the neighborhood restaurants directly. At least they answer the phone and are accountable to me directly. In contrast to the monstrosity of corporate America forcing you to wait 90 minutes for a heated meal (which arrives cold with spillage each and every time and missing items) coming from a mile away. I was once even heckled by one driver about the tip I promised to give (which I clearly stated is conditional on my meal arriving on time, without any missing items or spillage; which happened 100% of the time since grub-hub). I was forced to adopt this attitude lord knows why. Each time I called the restaurants about the missing items they indicated it was the driver who left it behind. In addition, the 20% tip I was giving thinking it’s for the restaurant staff, I discovered it actually goes to the guy who forgot half your order behind and spilled the other half in the bag along the way. Shocking. Food for thought. Pun intended. I want the old Eat-24 back please; grub-hub...No No thanks. If you like waiting two hours for cold food, then this service is for you! We placed an order around 6:30 pm and we’re told 45-55 minutes. After we waited over an hour we called the restaurant who said our food was ready and waiting for a driver to pick it up. After waiting even more time we called customer service. They gave an updated eta of 8:02 and offered me a $5 promo on an order of $130 for my trouble (whee!). My options were to take the $5 or cancel my order completely that I’d already been waiting over an hour for. The person on the phone said those were my only two options. My cold food finally arrived two hours after I placed the order after 8:30. Screw you and your $5 remedy for the worst service ever. The guy was kind nice and prompt. I used EAT24 because it was the best alternative to seamless/grubhub. They even gave back to their customers with small but appreciated coupons each week. Now with the merge, I’m most likely cooking at home or getting Blue Apron type meals since I cannot stand the grubhub or seamless experience that I dealt with in the past. Sorry to see you go EAT24 and sorry to see you grubhub. 2 hours for a delivery that is 3 miles away. Ice cold pizza and it was discussing. $44 pizza. Thanks for the reimbursement but I will not use this service ever again. I’d rate this a negative 5 star if I could. Order ran 75 minutes late. Contacted support and they “cancelled” my order, which resulted in the driver trying to walk away with my order on the spot. Had to argue with him for five minutes to hand over the delivery. I see the negative reviews, but I never had any issues. So what if it’s the restaurant employees delivering? It’s a pain in the arse to call and MAYBE get someone to answer during rush hour. Way easier to make a selection off the app and if I change my mind I can empty the cart and select a different restaurant. Only weird thing that ever happened was one of gh delivery guys called me directly to ask whereabouts our house was. I’m pretty sure you need a smart phone with the app to be a driver. Then there’s Google Maps, Waze, etc. He asked if I would pick up the phone if he got lost. After he delivered the food he called me twice. I sent the call to vm. Inappropriate. Using GrubHub mobile I got an ad saying if I downloaded the app I could use a code to get $10 off. That simple. I download the app for the first time ever and when I go to use it - for new customers only. Has nothing to do with downloading/using an app. Misleading a customer doesn’t win business. Exact opposite. Uninstalled and will order thru another company. App is buggy. Kept providing me with payment error, asking me to update payment info. Every time I updated the payment info, I received an error message, yet the app was in fact sending the orders through to the restaurant in the background. You would think with all of the competition out there from other food delivery services, that GrubHub would get their crap together. Clearly not. Garbage. I used twice in 2 days and I truly enjoy knowing I can order from nearby restaurants and have it delivered. Really good idea that executed well. Why the disconnect from yelp reviews and yelp pictures??? Its a decent app with good customer service in case there are issues BUT why is there such a big disconnect from reviews on yelp/grubhub and eat24??? One source will say 4/5 stars then another will show 3/5 stars with poor cleanliness and health standards. This ends up frightening my order experience and distrust of the eat24’s rating. Prime example - a “sponsored” eat24 restaurant on yelp will NOT have the same rating and reviews. Why does the check status for an item thats waaaaay past the delivery time show “your meal is in the works”?? Maybe an auto ping to the restaurant if its waaAy past the recommended delivery time ???? Or probably recommend to the restaurant to change their delivery timeline . I ordered my food at 8:25 had to wait a whole hour an a half to get my food. My food was cold. I’m very unhappy with how they don’t communicate with you. Can there's be a option to pick up ? Or will there be?!?? I ordered around 1:07 and it said 30 to 45 and it’s 2:17 it was suppose to come around 1:50 or 2:00. I’m hungry and didn’t know it would take this long. I’ve ordered from here before and it was quick last time. I can’t even see how far they are from me like ubereats, so idk if they still on the way. Thanks Grubhub for ruining the last good thing in my life. Eat24 used to be soooooo helpful and convenient. I used to use it multiple times a week. Now Grubhub has raised delivery prices AND changed the places I can get deliveries from. If I wanted horrible service and awful technology I would’ve just used Grubhub in the first place. The whole app has been changed, for the worse. Please do us all a favor and sell back to yelp. They’re so much better. I have tried to give this app a chance but continually lets me down. I have had moments where food was never accepted by restaurant (yet app said to be delivered with an ETA), food was said delivered and never received, food is over hour late from original ETA, and where app said delivered but has yet to be picked up by driver (current delivery that’s got me writing review that’s been over hour and half since original arrival time). Got a 5 dollar coupon for the issue with no estimate of actual delivery time. This is absolutely ridiculous. I have yet to to get an order within the actual times they give from order. More expensive delivery fees and more expensive food items than other apps. Ordered same exact chipotle food on this app as door dash and door dash was 9 dollars less. Hello I just started driving for this company and I was wondering how do you set up a schedule on this app. Horrible customer service, they send out coupons each week in an email that don’t actually work. When asked for help they treat you like a thief trying to steal two dollars. Not worth the trouble to use the app would just call the restaurant for take out or use any other app. Terrible delivery service and customer service. When the delivery window they gave me expired, I called the restaurant and was informed the food hadn’t been picked up yet. So I called Grubhub directly and waited on hold to speak to somebody for more than 10 minutes. Then when I finally spoke to someone they argued with me and basically told me I was lying, and that the delivery window they had was different than mine. I asked what they would do to keep my business, and they said nothing. I will never use their service again. Uber eats is much better. I’m done with Grubhub. Ever since GrubHub came in Apple Pay has been gone. Bring it back! Food was hot and they give out great portion size for the hungry man!!! I should of added some Guacamole.. but the Delivery guy was cool too.. Without informing customers they consistently change their business model so that predictability goes out the window. Of course I always wait till the weekend to use the 24 because I get a two dollar off coupon… I give a lot of business to local restaurants by using this application and the fact that they continually disrupt their previously well-established consumer/financial structure is extremely bothersome to me. Looking forward to their competition. We have found some great restaurants that deliver on here in a pinch. It’s so easy find, pick, order and go back to chores at home. Great selection and food my entire family loved!! I have tried ordering from this app twice for delivery. I ordered ahead to make sure that the restaurant was open at the time they had listed. Both times I was not told that my order had been cancelled/never received, even though I received a confirmation email stating they received the order and were preparing the food. The customer service rep I talked to was terrible and offered no explanation about why this keeps happening. Honestly I have nothing to say good because my experience was so poor. I placed my order for Taco Bell, waited over a hour and about thirty minutes to call to check the status of my order, The lady confirms that I didn’t even have a driver assigned to me, after a whole hour and advised me I’d be getting my order in another hour..... after placing my order at 6, I was not up for waiting till 7:45 to get my taco bell order. We got refunded and drove to get it ourselves.... never recommend this company. This is why you guys have less than 3 stars on your app, because the company is a circus. Multiple times when I have ordered, I waited over an hour for my order, and then don’t receive any confirmation or response until I reach out asking “Where is my food.” Then I just get a garbage apologetic email saying they will refund me and sorry for the inconvenience almost 2 hours later. Just use Uber Eats, their interface and customer service is so much better. I just can’t wait until Amazon destroys this company. I am legitimately counting down the days. For some reason there are no restaurants coming up. Forget this and contact restaurants directly. 10-35minute estimate was really 1 1/2hours. Order never put in until showed up to pick up. Waste of time. Do not use, call restaurant directly and order!!!! Terrible terrible terrible. According to them, Delivery people are not them but restaurant workers. So, what’s the point to use EAT24? None. We ordered through EAT24, the system didn’t even let me chat anyone in order to ask for ETA due to error. After 2 hours of wait, we called restaurant directly, they said the food was picked up 40 mins ago. After another 20mins, someone at EAT24 called saying “this can’t be acceptable, we will give you a refund” and he refunded without asking me anything. Shortly after this call, food arrived. A few mins later, another guy called again telling me we have to pay now since we didn’t refuse the food. They are saying we need to pay full for over 3hours old food. For inconvenience, they offered me $5 credit. Well, like another reviewers say, I knew I would never use EAT24, so asked for supervisor. To be frank, the order was canceled, but the “supervisor” was so rude and unprofessional. His attitude gave me another level of anger, and he said(or screamed) “what’s your issue? You got what you wanted, free food worth $50.” He doesn’t get it. you are the issue. Anyways, don’t order! When EAT24 offer delivery, that means that restaurant DOES delivery. Just call directly. I get a better experience ordering through EAT24 than I do through the actual restaurant. It eliminates the miscommunication and restaurant frustration when they’re busy. Very easy to use and allows you to pay through PayPal. Convenient when you’re busy or have patience to wait for food because it could take awhile (up to an hour) depending on the restaurant. Also, you get coupons every weekend. Recently, I mistakenly ordered at a wrong location. EAT24 was quick to refund and contact the restaurant to cancel. Absolutely great. DO NOT USE THIS APP!!! I have had too many bad experiences with this app to ever suggest it to anyone. Find what you want on Yelp and order it direct through the restaurant instead, you’ll have a far better chance of things going right. I love yelp and I can’t stand Eat24. 22 minutes from order to door. Food was hot and everything was there. The app’s time estimate for delivery is consistently off by 30 minutes or more. Don’t use this app if you’re already hungry. Also, a restaurant’s delivery fee is not displayed in the total until after submitting payment - watch your order total jump before your eyes! Lastly, the customer support is slow to respond. If you need support for your order, don’t expect a response until it’s too late to change or cancel. This app is not for the hungry! I’ve been having a terrible experience with Eat24. I ordered food from a Thai restaurant and they did not give me a realistic time frame of the delivery so I ended up waiting 2 hours. I would never order food that would take that long. Then when it finally got there, there was chicken in the curries my vegan friend and I ordered. Apparently the default option is chicken, but this was not stated ANYWHERE on the item description on the Eat24 app and there were no options to change the meat preference. So after waiting two hours I couldn’t even eat the food. Then I tried contacting Eat24, and messaged support THREE TIMES before someone finally responded the next day. I just messaged them again about the refund I was promised and no one responded. I have now spent so much of my time hunting these people down that it’s barely even worth it. I will never use this app again! When I make two orders, there’s no way to see the status of the first one. Also there’s no estimated delivery times before ordering so sometimes I just get stuck with some delivery three hours after I order and try to cancel it. Decent restaurants though. I ordered through app said it would take 35-60 minutes. It took 1.5 hours. Order was wrong. Tried contacting through app no response for over an hour so here I am writing a review here. I want a full refund of my order and I can even get ahold of anyone. Stay away from this app. I ordered and received a text 30 minutes after placing the order that it wasn’t confirmed even though I had received an email confirming it. I tried to contact support but couldn’t speak to anyone. Received another text that the order was confirmed. No delivery. Reached out to support again, couldn’t speak to anyone. Called the restaurant and they said they were waiting on a call back from Eat24 to confirm my order after Eat24 called me. Never received a call. Never using this app again. So unreliable. This is the 3rd time I’ve had an issue ordering through them. Highly recommended you try any other delivery service. We ordered food that the restaurant completed and had ready but eat24 did not send a carrier for over an hour. It took us then another 30 minutes to cancel the order with eat24. No food and no support! I ordered pizza via the app and after my food was listed as out for delivery for 60 minutes I tried contacting Eat24 Help, it's been an additional 60 minutes and no one has responded. So no food delivered 3 hours after I ordered and no help yet I was charged $60. I am now calling Visa and listing this a fraud. I would rate Eat24 zero stars if it were an available option. Horrible customer service that took over an hour to respond. Restaurants don’t communicate order volume with Eat24 (as they do with better apps like Grubhub). I have attempted to use Eat24 twice and both times were a terrible experience. DO NOT USE THIS APP! I never received the food I ordered. I contacted customer service and was put on hold for 45 minutes until I finally hung up. Haven’t received my money back. Don’t use this app if you’re hungry. What baffles me is the app developer’s oblivion to all the negative one star reviews. That speaks volumes about the app, atrocious service, rancid customer disservice, and the lack of care from the developer. This is the poster child for a failing business. Time shall tell. If it ain’t broken, don’t fix it. I’ve used this app for almost a decade and I raved about it to all my friends. I placed thousands of orders and was extremely pleased. Then grub-hub happened and Eat-24 died. RIP. So I find myself better off reverting to the old method of calling the neighborhood restaurants directly. At least they answer the phone and are accountable to me directly. In contrast to the monstrosity of corporate America forcing you to wait 90 minutes for a heated meal (which arrives cold with spillage each and every time and missing items) coming from a mile away. I was once even heckled by one driver about the tip I promised to give (which I clearly stated is conditional on my meal arriving on time, without any missing items or spillage; which happened 100% of the time since grub-hub). I was forced to adopt this attitude lord knows why. Each time I called the restaurants about the missing items they indicated it was the driver who left it behind. In addition, the 20% tip I was giving thinking it’s for the restaurant staff, I discovered it actually goes to the guy who forgot half your order behind and spilled the other half in the bag along the way. Shocking. Food for thought. Pun intended. I want the old Eat-24 back please; grub-hub...No No thanks. Update (today is 09 JAN 2019), last week I decided to give Eat-24 another chance because I truly miss it. I placed an order and received an email FROM EAT-24 confirming my order. After 2 hours when I received my food, 2 items were missing. I called Eat-24 customer disservice and they couldn’t locate my order, not by my name or email address, not by phone number or order number. The lady even denied that I have placed an order even though I was telling I’d just received most of my food already. She suggested to call Grubhub instead. Grubhub was able to locate my order. How did this happen? No one at Eat-24 or at Grubhub was able to explain. No one had a clue. No one was could offer a word of kindness. The situation is a hopeless disaster. Since then I reverted back to cooking my own meals which is much more delicious, cleaner, and healthier. Instead I now get Instacart to deliver my groceries. Every end marks a new beginning. Good bye Eat-24, you will eat your way to the grave. You are better off ordering or picking up yourself! I ordered a pizza and it took almost two hours to get delivered and between all that I had no idea whether my order was received, being made or out for delivery. Such a headache! I had to call the pizzeria twice just to make sure my order was in and on its way because it took so long! Don’t bother using this app, horrible! Yelp tricked us into using this app to order from our favorite Chinese take out. We have ordered many times directly from the restaurant and never had a problem. Always received our food in 30min or less. By using this app, we waited an hour and then checked the status of our order. Received a text back from the app that said our order was still being prepared. Asked how much longer and then got a reply saying it would be another 20 minutes. In other words, the restaurant never got the order. Will be deleting this app. Really Great Service my food came before the estimated time. This is only the 2nd time me using this app but so far so good. My first order I made from my Android cell phone and the second I used my iPad. But both orders went thru without any problems. My orders were delivered exactly the way I ordered. Fast & easy. This is my opinion : I used this app to order a pizza and that very same moment my card info was stolen and someone drove over town in a lyft . I’ve never been in a LYFT or Uber ! Do not use !! I place an order and the restaurant closes and cancels my order. Eat24 charges me anyway. I get no refund only a silly coupon that eventually expired in a few days. That was a year ago and never used the app since. And before you say it, no I’m not going to contact your ignorant customer service. You lost my business. Deal with it! So So So So So Slow!!!! !’ If you ask to get an order status it takes forever! As if they were browsing through court documents to retrieve a file. I would highly recommend not using this service ever!!! If you care about your hard earned money and your time then don't order from them. I was a regular costumer until last night. I ordered food at 10:55 my bank account was charged ($17.88) i didnt get any confirmation email. i waited for my food, called the restaurant they said they didn’t receive any order.. tried to contact with eat24 live chat asking about my order they didn’t reply until 12 am!!!!! I called costumer support after being on hold for like one hour all they did NOTHING cuz they didnt see my order and they were really rude!! I can clearly see my order in my past orders!! And my bank account was charged.. i was starving didnt get any response about my money or my food.. their costumer service is a JOKE!!! I wasted 3 hours waiting to no avail!! Do they care about that?? Do they care i was hungry or That I wanted my money back?? No... and DO not tell me youre sorry and that I need to send ANOTHER email.. Im done with you guys!!! Eat24 works...Grubhub does not, most of the time. Waited 2 hours for my food and the driver delivered my food to the wrong people. I had to call to figure out what was going on. Every time I use this app the drivers take forever. Will not use this app again. Yelp Eat24/Grubhub is the worst food delivery service compared to similar competitor food delivery app. My order was delivered 25 minutes late and one of my order "honey toast" was delivered cold and no longer toasty and crunchy as it should be. Very disappointed. Order was placed at 1:55pm and it was delivered at 3:07pm. The worst delivery estimation. Worst part is my food was delivered at the state that is not eatible. This experience totally made me lost my appetite. $15 down the drain cause I am no longer in the mood to eating this. I don't care for using Grubhub anymore. Grubhub is the worst. Unfortunately this app does not have the capabilities to identify whether or not a restaurant will be taking your order. They process the order, take your money and then unless you contact them to let them know the food has not arrived you will not know whether or not the food has arrived. Then it takes them a few days to have your bank release your funds and you are out that money for a certain number of days.Unfortunately I gave them the benefit of the doubt and have on several occasions been left without my food until I have contacted them and have been informed that the restaurant did not take their order. They do not update the restaurant list nor do they follow through. They just take your money. Select another app like Postmates etc. that will be more responsible to their clients. I am not in the habit of writing poor reviews, however this is just happened to many times. I will be deleting their app from my phone as of this moment. Nice app. Easy to use. If you want your food and don’t want to go out don’t get EAT24. Just use uber eats or door dash , I have been waiting an hour and 30 minutes so far for my food it’s still not here. I called the restaurant and they said it’s close to arriving but that was 30 minutes ago -_- they already charged my card . More than a hour of my life has been wasted waiting for my food. I’m starving right now ! I’ve had so many issues with this app, the most frequent being that it doesn’t update with accurate delivery times. Now my food came early today, that shouldn’t be a reason to complain- but it when I’m trying to do other things around the house while I wait. I was just about to hop in the shower at 11:40 as my delivery wasn’t to be until 12:14, but my doorbell rang as I was naked with the shower running. Other orders have arrived 30+ minutes late without any notice. When I’ve tried to contact either the restaurant directly (busy signal only) or Eat24, no response. You’ll pay 1.5x the cost you’d pay in a restaurant. What would take 10 minutes I’m a restaurant will take more than an hour to receive. You’ll pay $5.99 for a delivery you’ll start to worry isn’t arriving, because it takes so long to arrive. The customer service chat never responds. DO NOT WASTE YOUR MONEY ON THIS APP. Terrible app to use. I should have paid attention to the reviews and just use a diff app but I tried it anyway. Ordered something and two hours later it hadn’t arrived and for some reason they could t get in contact with the restaurant to get my order. But they didn’t call me I had to call them to even see what was going on. Offered a $7 credit for a two hour wait and no food arrival. Don’t waste your time, use something else.